2016 definitely has to be the best year for Drake when it comes to his popularity and how much money he has made. Say what you want about his "Views" album, but the numbers don't lie. The lead single from the album, "One Dance," was of course Drizzy's first ever No. 1 single. With the song, he just reached an accomplishment no artist has before. Drake has just scored another big win in his record-breaking year. 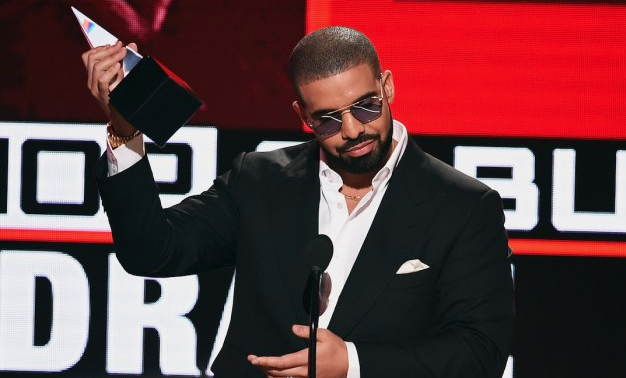 Billboard reports the Toronto rapper's No. 1 song "One Dance" just became the first track to reach 1 billion plays on Spotify. "Views" is so far quadruple-platinum in the U.S., making it the best-selling album of 2016. Drake also has eight Grammy nominations lined up. The 6ix God isn't done yet, though. His new project, "More Life," is slated for a January 2017 release. He also revealed that a project may be coming with Gucci Mane, as both collaborated on the songs "Both" and "Back On Road" this year.